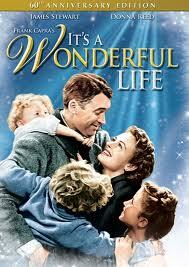 It’s A Wonderful…Life? | What I think About When I Think About Writing. By 10:30 this morning I needed Christmas like I needed an enema. My mother rang me in a panic, as she did at the same time yesterday. Where was everyone? she cried. Why was she on her own on Christmas Day? And why, when she rang my number, was she getting through to her best friend and old neighbour? My mother isn’t well. It seems that the moment she turned 70 (last October), her mind went walkabout. An MRI ruled out a tumour, which left us with the likelihood of dementia. Her mobile phone and TV remote are now sources of frustration for her. We have written lists of her important numbers and set both her mobile and landline with identical speed-dial settings. But she still calls the wrong people. Not always, just sometimes.Old age will happen (hopefully) to us all. Most of us will enjoy our twilight years with the full benefits of our mental capacities. Some of us (and hopefully not you) won’t. It may take a long time to creep up on us. Or, in the case of my mother, it may suddenly appear. Who knows what each day may bring? It could also be her medication. My mother has emphysema too, and is on a shed-load of pills and inhalers to help with her condition. She takes sleeping tablets as well, and there is currently some debate about the severity and dosage of these pills. It may be that her medication is causing some sort of imbalance, but we won’t know for sure until we get a report from her doctor. Most times, my mother is well and alert enough to hold a conversation, know what’s what and who’s who, and is able to go out for a drink with her sister once or twice a week. But with weather being the way it is, she finds herself housebound. As she lives on her own and can’t get out and about as much as she used to, there is the danger of her brain going idle. It can happen to anyone of us if we’re denied mental stimulation. But we’ll get through this Christmas without any incident, hopefully. We’ll be together as a family and look out for her and each other. So, as you can imagine, I’ve not been in the festive spirit, particularly after the phone calls from the last two mornings. But a friend of mine had invited me to a screening of Frank Capra’s classic James Stewart movie It’s A Wonderful Life at the Irish Film Institute (IFI) on Eustace Street, off Dublin’s Temple Bar. I’ve never seen this movie before, although I know it well enough as a staple of Christmas TV schedule. I debated whether to see the movie or call down to my mother. My friend suggested that three hours wouldn’t make too much of a difference and I could always call down afterwards. So I agreed to go. My mother was waiting for me, and she was a lot better than she was this morning. When I left, my sister was on her way down to see her. Like I said, we’ll get through this Christmas. What happens next year is anyone’s guess. I’d like to take this moment to wish each of you a peaceful and blessed Christmas. Be safe, love and take care of each other, okay? 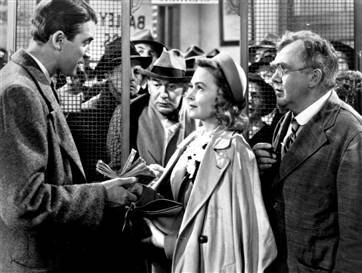 This entry was posted in Life and tagged Christmas, Christmas Day, Frank Capra, George Bailey, Holidays, Irish Film Institute, It's a Wonderful Life, James Stewart. Bookmark the permalink. And the best to you, James, and to your mother as well. And the old saying really is true. They don’t make them like this any more. I watched it the other night for maybe the fourth time, and cried like a baby at the end. It’s A Wonderful Film. Sentimentality, when used properly, is a powerful cinematic tool. I was close to blubbering, myself. Oh, James! I know whereof you speak! I lost my Mom to Alzheimer’s 10 years ago – but in essence, a lot longer ago than that! After several years, we had to transfer her to a nursing home, but she still had a phone. She called me, starting at about 7:30 each morning, and over and over again throughout the day. Sometimes as frequently as every 1/2 hour until she went to bed. She never remembered that she had already called, and thought each time was the first time. It was so hard to quell my frustration and annoyance. Eventually we were able to remove her phone without her noticing or remembering, but that was a difficult time. I wish you the very best Christmas ever, and I’m glad you loved the movie! Me too. So give an angel a promotion and go out and ring a few bells! Love to you, your Mum, and all your family! I’m facing similar issues with my parents ~ they come and they go, but they’re never “all there.” It’s hard watching from the sidelines and knowing that there is nothing much to be done. Merry Christmas to you and yours! And enjoy the Winter Solstice and Lunar Eclipse tonight . . . it’s probably right outside your door at this very moment. I’m hoping to see it later, Nancy. A lot depends on cloud cover. Yes, my dear Aardie, what happens next year is anyone’s guess. I remember visiting my gran (Dad’s mom, not Mom’s mom who was at her full capacity both mentally and physically until the end) when I was still in university. She’d look at me and not have a clue who I was. My dad would tell her, ‘Mom, this is your granddaughter’ but – nothing. I think it must be a terrible thing to be ‘trapped’ inside your own body. It’s also horrible for those around such people because you have to constantly remind yourself that they can’t help it. It’s good that you got away for three hours, James. It brought the Christmas spirit back, didn’t it? I do wish we knew more about the human mind and how it works. It’s good your mother still has lots of lucid times. I hope with all my heart that you and she get a lucid and loving Christmas. I’m sorry to hear about your mother, but she is so fortunate to have such supportive children gathered about her. I would venture to say she is probably well aware of how lucky she is and that she is happy in her heart.